Capitalism’s education catastrophe: And the advancing endgame revolt! Rosa, R.D. and Rosa, J. J. (2015). 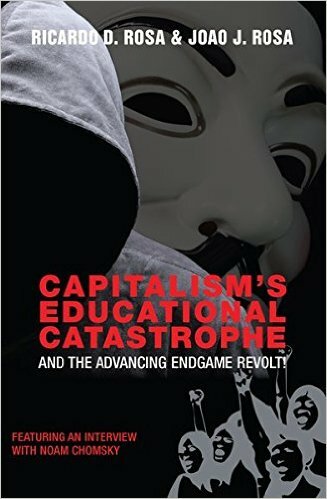 Capitalism’s education catastrophe: And the advancing endgame revolt! New York, NY: Peter Lang. Abstract: Education in North America is a concise and thorough reference guide to the main themes in American and Canadian education from their historical roots to the present time. The book brings a global awareness to the discussion of local issues in North American education and sheds light on the similar and different ways that Canada and the United States have moved in light of political and social changes. Scholarly contributions made by active researchers from the region provide an overview of each country's education system, the way in which it arose, and its current state of affairs.